Experience areas of Las Vegas that are rich in history, culture and beauty. There is more to this spectacular city than meets the eye. If you are planning to visit this amazing city soon, there might be more to experiencing the best Vegas has to offer than just touring The Strip. While it is definitely worth it to explore this area of town, take in the neon lights and take your chances in a game of poker or slapjack, there is more to Sin City than meets the eye. Here are some suggestions you might want to consider during your next visit. Take a respite from the busy nightlife and head to the Red Rock Canyon National Conservation Area, which is only 17 miles west of Las Vegas. You can drive on a scenic route through the area or opt for taking a hike on one of the many nature trails. The park is decorated with red hills and offers picturesque views of the Mojave Desert. 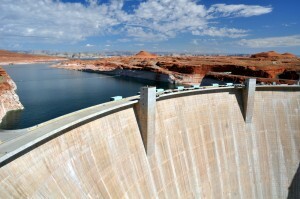 If you drive just 30 miles southeast of the city, you can tour the largest reservoir in the country, the Hoover Dam, which has been a National Historic Landmark since 1937. Take a Venice-inspired gondola ride at The Venetian or head to The Bellagio for an amazing fountain show. Paris Las Vegas features a replica of the Arc de Triomphe and a quarter-size replica of the Eiffel Tower. Don’t forget about the local cuisine either; not only will you find the best pizza in Las Vegas downtown but also gourmet restaurants that specialize in other European-inspired dishes. For an incredible educational experience, head to the Mob Museum for the history of Sin City’s gangster era. What used to be the federal courthouse now showcases 12 different exhibits about America’s mob history and famous characters, including Al Capone, John Gotti and Bugsy Siegel. The Neon Museum is just north of the Mob Museum near the Fremont Street Experience downtown. It pays homage to the famous Las Vegas light show, offering guided tours that are rich in history. The outdoor gallery displays over 450 pieces of old Vegas signage.